If you’re looking for better options on Farm Insurance in Texas you have found the right agency! Call 903-378-7300 or 1-888-505-7550 to speak with the licensed representatives of Country Side Insurance when you need any type of Farm Insurance in Texas. Country Side Insurance specializes in comprehensive and competitive rates on Insurance for Farmers in Texas. Coverage is available for your home, buildings, farming equipment, farm vehicles, and livestock. You can also use our convenient online rate quote submission system for Farm Insurance 24 hours per day when you click on Texas Farm Insurance. 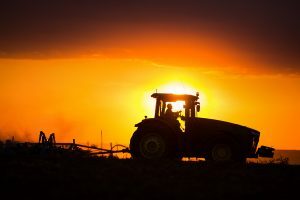 How Cheap Farm Insurance in Texas Can End Up Costing You More! It has probably not escaped your attention that insurance companies advertise around the clock encouraging us to shop for insurance by calling a toll free number. The commercials imply subtly that you might be overpaying on your insurance so therefore you should call for free quotes to compare. Certainly, no one wants to pay more for something they need like insurance, yet what is not disclosed on the variety of insurance TV commercials running non-stop is the fact that coverage can differ from company to company even when the same coverage limits and deductibles are identical between insurance companies (more about this later). The same can also be true when selecting the appropriate Farm Insurance coverage to protect your business. For this reason, the qualified agents of Country Side Insurance will work closely with you to help you find the coverage you need based on your individual circumstances. Why work with an agency that specializes in Farm Insurance? We will consider this important topic next. Texas Farm Insurance — Specialist or Generalist? Many insurance agents are generalists — meaning they sell a variety of different types of insurance policies to a wide variety of people and businesses. This is fine if you only need car and home insurance. However, a specialist is one that focuses only on a handful of types of accounts. We at Country Side Insurance specialize in Texas Farm Insurance and have done so for many years. Why is it important to only choose an agency that specializes in Farm Insurance versus an agency that sells every type of insurance including Farm Insurance? It’s much the same as how an individual who suffers from heart disease should choose a heart specialist versus their family doctor when they need medical treatment and advice. A farm insurance specialist will simply have more knowledge and a higher level of expertise in insuring farms, vehicles, livestock, and equipment. Making a mistake on your Farm Insurance coverage could cost you tens of thousands, if not hundreds of thousands of dollars. Texas Farm Insurance — Knowing Your Options Can Save You Financially! It is so important to have the right coverage and protection to shield yourself financially. Otherwise, gaps in your Farm Insurance Protection may become readily apparent after a claim. A gap in your Farm Insurance Protection may end up costing you significantly more money in the long run compared to any short term savings you may have realized by not purchasing the correct coverage. All it takes is one large uninsured claim to change your financial circumstances for life! Skipping certain types of insurance coverage could have long-reaching financial circumstances that could change everything in a blink of an eye. For Instance, Are Your Farm Buildings Correctly Insured? Example: John Smith Owns Smith Lyons Farms. They have need for a much larger outbuilding to store equipment, but they also need work space to make it easier to repair equipment out of the elements. John obtained several bids from local contractors and the lowest price is $135,000. John decided that he might be able to do the work himself at a much lower rate so he enlisted the aid of his four sons and three other farm employees. John ordered all of the prefabricated materials and the following Saturday they poured the concrete footers and foundation. Four weeks later his Farm Outbuilding, which includes a good-sized work shop, was finished. John could not be more pleased. He saved about $45,000 in comparison to the lowest priced bid from the local contractors. John’s wife Mary reminded him later that evening that he needed to add his Farm Outbuilding to their insurance policy just in case. John calls his agent Fred and tells him he needed to add an outbuilding for $90,000 which is what it cost him to build this new building. Seven Years later a tornado leveled John’s building and completely destroyed all of the equipment housed in his outbuilding. “I have some bad news for you. Based on current construction costs, and looking at these blueprints, I’d say you’re looking north of $200,000 to rebuild” Denver explains. John did not necessarily want to explain to the claims adjuster that he had built the outbuilding himself so he kept silent and assured the claims adjuster he was aware of his coverage amount. John started to do some research and was in for a big shock. Only two of his four sons would be able to help him build this time around, and the cost for the prefabricated materials had doubled in cost since the last time he ordered them. John was looking at purely material costs of about $150,000 plus around $10,000 in labor. What mistake did John make? It was a simple but costly one: He did not buy sufficient coverage in the beginning and neither did he update his coverage as he should have. John did eventually rebuild, but the end cost amounted to $167,000. John insured his newly rebuilt building for $200,000. Texas Farm Insurance — Contact Country Side Insurance Today! If you own or manage a Farm it would be worth your while to talk to the licensed agents of Country Side Insurance. We can help you find the Farm Insurance Coverage you need at a competitive rate.